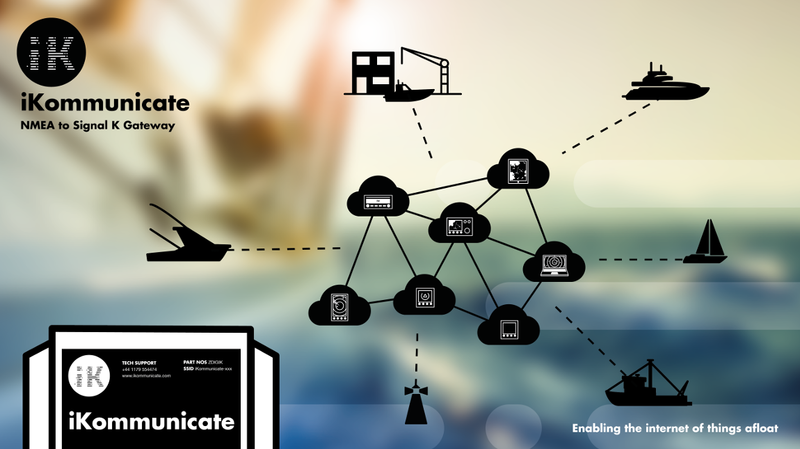 iKommunicate is a powerful and intelligent gateway device that converts NMEA data from traditional boat navigation systems in to a number of modern network and internet formats, allowing your data to be wirelessly transmitted around the boat for display on popular navigation software and apps. 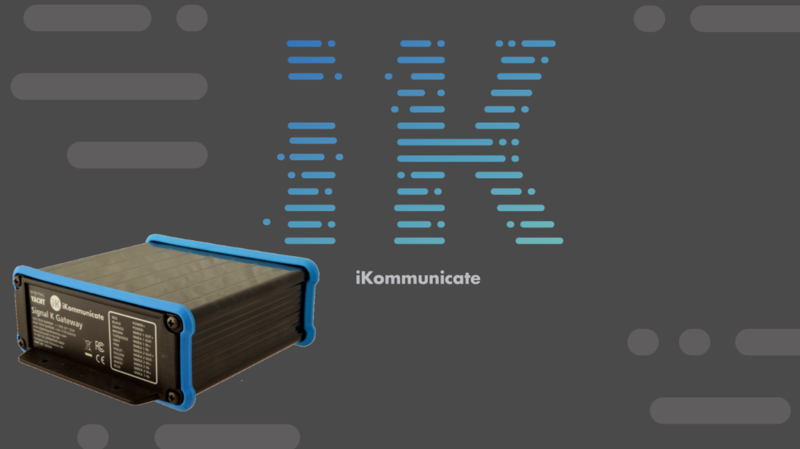 iKommunicate is compatible with many applications including; Nobeltec, Rosepoint, iNavX, OpenCPN, MacENC, iSailor, Navionics, in fact any app that supports a TCP or UDP network connection. Simply connect iKommunicate to your NMEA2000 backbone or wire up to one of its three NMEA0183 inputs and this data will be converted and made available on its Ethernet port for distribution over your boat's wired or wireless network. 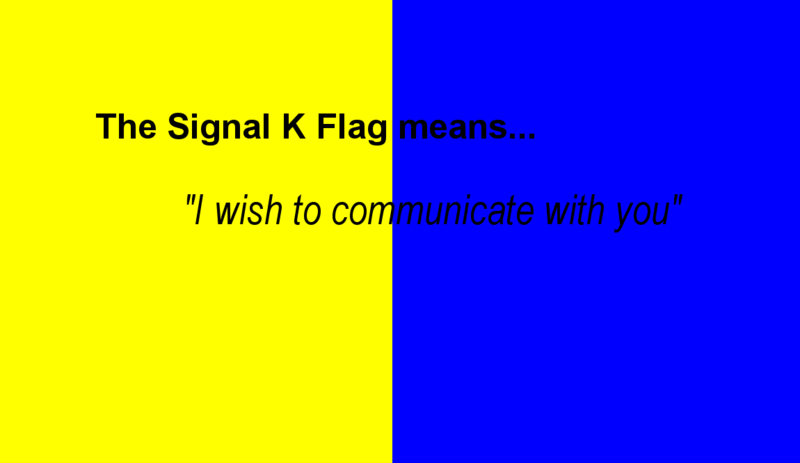 iKommunicate is also the first NMEA to Signal K gateway, allowing you to be part of the “Internet of Things”. 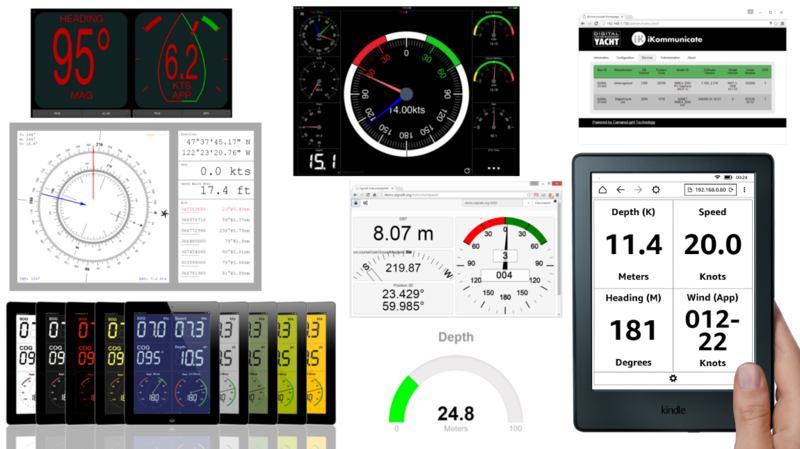 By taking data from the NMEA “closed” industry networks found on most boats and converting it to an “open” HTML5 based internet ready data format, a whole new world of social and connected boating will now be possible. Mobile and web developers will be able to create a new generation of Apps and Cloud based solutions that will provide boat owners with the same experience on the water, as they get on land, making boating more exciting, safer and accessible. 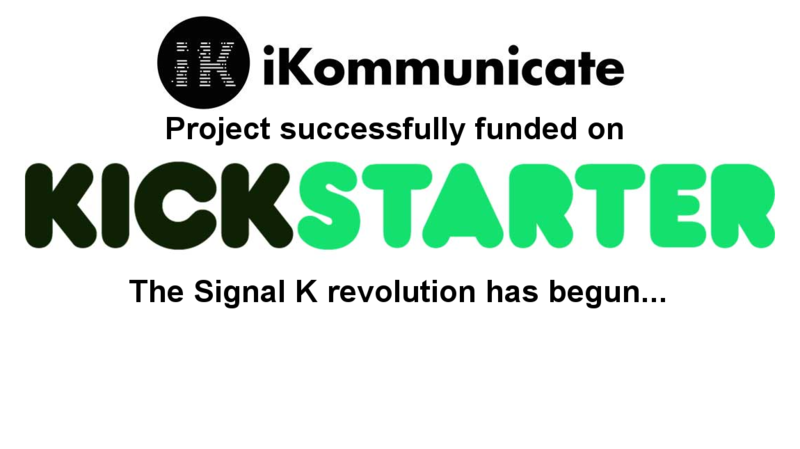 At the heart of this technical revolution is the newly developed, open source Signal K project. This fast growing "next generation navigation" and data sharing platform enables the connected boat - welcome to the internet of things afloat!